If you are missing one or more teeth, you are obviously aware of the effects on the function of your mouth, your dental health, and even your looks. Large spaces in your mouth making it difficult to speak and chew, and cause you to be conscious of your smile. Moreover, the bone density of the underlying hard tissue – in the space – will diminish over time, causing adjacent teeth to shift and create gaps between your other teeth that make it harder to maintain proper oral hygiene. In severe cases, this can deform your face and cause you to look older. Fortunately, Dr. Robert Thein offers you multiple options to replace missing teeth in Los Angeles. 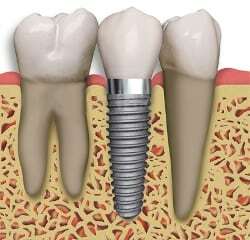 Implants are a popular option for replacing one tooth, or multiple teeth when combined with partial or full dentures. 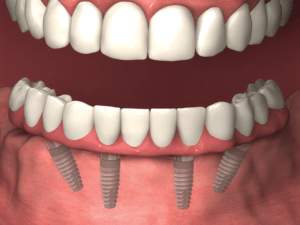 Implants are surgically placed in your jaw so they can bond with the underlying bone. This provides a strong support for the replacement tooth or teeth, allowing them to function with nearly as much stability as your natural teeth. This is a cost-effective tooth replacement option for patients missing two or more adjacent teeth. Dr. Thein places 1-2 implants in the gap to serve as the anchor for the partial denture. 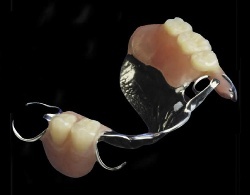 If you are missing all the teeth in an arch, or the remaining ones need to be removed because of serious defects or damage, a full denture arch might be your best option. By itself, a full denture is likely to shift and cause discomfort. So Dr. Thein places 4 or 6 dental implants evenly on the arch on to which the full denture can be anchored. The best way to replace your teeth is a vital decision. Dr. Thein will assess your situation and discuss with you the best tooth replacement options for your case. Contact our office in Los Angeles today to schedule a consultation.